But he’s not Elon Musk. 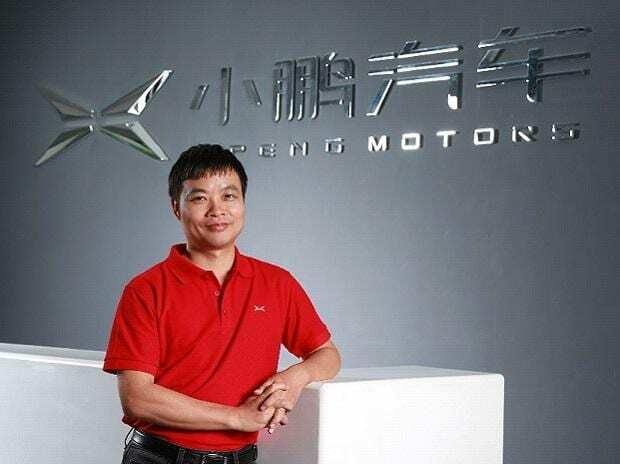 Instead, Chinese billionaire He Xiaopeng is the target of Musk’s ire, and his company, Xpeng Motors, is at the center of separate trade-secrets lawsuits filed by Tesla and Apple Inc. Tesla accused one of its ex-engineers of stealing confidential autopilot information before bolting to a job at XPeng, where He is chairman. He, 41, called the lawsuit “questionable” in a WeChat post Friday. The accusations came eight months after one of Apple Inc.’s ex-employees was charged with trying to take sensitive robocar secrets to a new job with XPeng. The Chinese automaker hasn’t been accused of wrongdoing by Apple or Tesla. Intellectual property isn’t the only front in this battle. There’s also cash flow. Xpeng is learning what it’s like to burn cash like Tesla and other EV rivals. Xpeng’s factory is being built about an hour from the main office in Guangzhou, and He’s trying to keep up with Tesla’s round-the-clock construction of its own factory in Shanghai. Ever since China set its sight on superpower status, the country has tried outdoing various American icons, with one billionaire building a studio that’s bigger than any in Hollywood and his own version of Disneyland. As tensions with the U.S. increase, China’s obsession with outdoing Musk is becoming surreal. The contenders include Jia Yueting, who’s trying to build EVs in California even after his internet empire collapsed, to the 32-year-old dubbed China’s own Musk by state-run media last year after launching the country’s first commercial rocket. But He may be the most Musky of them all, trolling the Tesla chief executive officer in his posts on Weibo, the Chinese version of Twitter. He’s now on the hunt for additional funding after raising more than 10 billion yuan from investors such as e-commerce giant Alibaba and iPhone assembler Foxconn Technology Group. The automaker’s full name is Guangzhou Xiaopeng Motors Technology Co. Ltd., and it has a valuation of about $3.65 billion, according to venture capital database CB Insights. The big backers helped Xpeng get an early start in the electric car race in China, where half of all EVs in the world are sold. China is striving to reshape the auto industry as the world’s biggest market promotes new-energy vehicles in an effort to clean its air and cut its reliance on oil imports. Xpeng’s domestic rivals include established automakers such as Warren Buffett-backed BYD Co. and startup NIO Inc.
Xpeng, which currently contracts production to Haima Automobile Group Co. in Zhengzhou, is ramping up capacity to try to expedite delivery time. The company started deliveries of its G3 electric SUV in December but doesn’t disclose sales. “Tesla made customers wait for three years to get a car, and Xpeng doesn’t want to do that,” said Linyan Feng, an analyst at Beijing-based technology researcher EqualOcean. The starting price for a Model 3 in China is about double the price of an Xpeng because of taxes. “Once Tesla has built that factory in Shanghai, I think it would be a huge challenge for Chinese EV makers,” Feng said. He wants to scale up his research-and-development team this year, adding hundreds of workers with a focus on autonomous driving, artificial intelligence and internet connectivity. His company’s biggest challenge will be educating customers, and that Tesla, which he doesn’t see as a competitor, will play a major role in that. The tycoon was born in Huangshi in Hubei province, where his father was the chief electrical engineer for a state-owned cement machinery factory. He studied computer science at South China University of Technology before co-founding UCWeb. He cites Xiaomi Corp. Chairman Lei Jun as one of his biggest influences after having invested millions of yuan into the technology company’s initial public offering. If He can make Xpeng a viable EV maker, he’s promised to treat himself to an exploration vessel that can break ice and explore the seas with small submarines and landing boats. Before starting Xpeng, he studied the possibility of developing floating island settlements. “I’m always extremely interested in oceans,” said He, who keeps a yacht in Hong Kong. “I can see myself buying a lot of stuff on the sea like boats and equipment."